The SEPHORA SPRING BONUS EVENT starts today for Rouge customers! 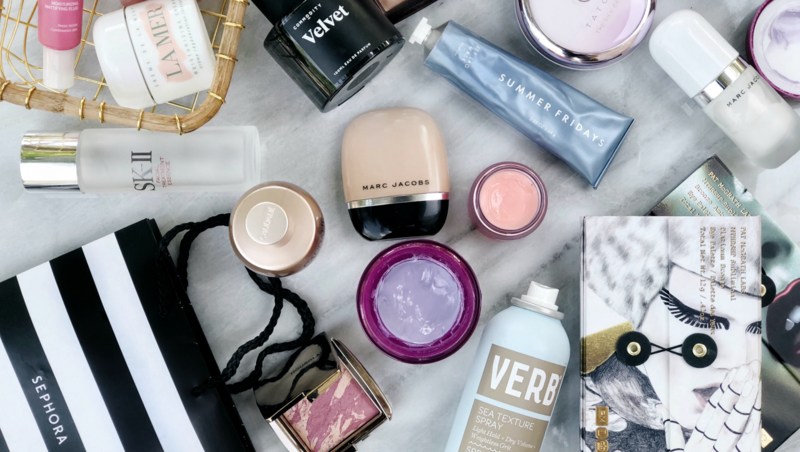 The sale opens to VIB and Beauty Insider members on April 20th. For more info on the program and benefits or to sign up, click here. What’s this event all about? 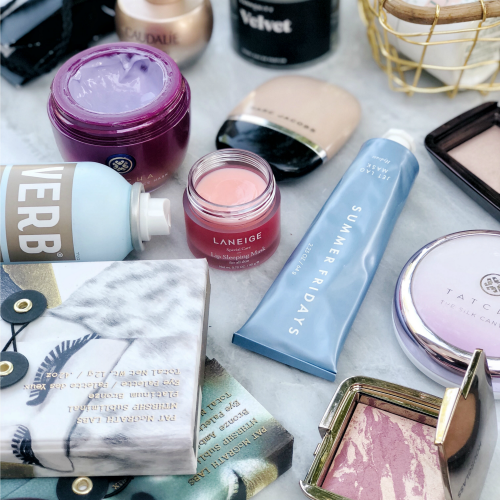 So as you get ready to load up your cart (like I surely will), I thought I’d share a list of recommendations for makeup, skincare and hair care. SK-II FACIAL TREATMENT ESSENCE – This celebrity fave really works, I use it every day and night after cleansing/toning. Helps refine the look of pores, brighten and even skin and with their signature Pitera ingredient, it touts multiple anti-aging properties. CAUDALIE PREMIER CRU SERUM – Although pricey, this serum is a great one to target multiple signs of aging. If you don’t like using a lot of products, this is the perfect all-around day/night serum you can use. For the past several years, Caudalie worked with Harvard scientists to create the entire Premier Cru line. This product is formulated with resveratrol to visibly lift and firm, viniferine to brighten, and grape seed polyphenols to protect against environmental aggressors. KIEHL’S NIGHTLY REFINING MICRO-PEEL CONCENTRATE – I swear by this little green bottle. I use it every other day or so at night and my skin looks brighter with a smoother texture the next morning. I love it so hard. CAUDALIE RESVERATROL [LIFT] FACE LIFTING SOFT CREAM – A newer product for me and one I’m really loving. Super soft, hydrating, anti-aging day cream that plumps and firms, leaving a soft matte finish. TATCHA VIOLET-C RADIANCE MASK – My favorite mask to use; packed with AHAs, vitamin C and Japanese beautyberry, it’s a great anti-aging treatment that gives you brighter, more radiant skin. SUMMER FRIDAYS JET LAG MASK – The Instagram darling which I love more every time I use it. You can use as a rinse-off mask, an overnight mask, a makeup primer and while you travel. Super lightweight and creamy, this just makes your skin feel and look good. I just recently used it when I flew, and my skin looked AMAZING coming off my flight. KIEHL’S GINGER LEAF & HIBISCUS FIRMING MASK – A great, lightweight overnight mask which dissipates into the skin easily so you won’t leave your pillow sticky. Smooths and firms skin while you sleep. KIEHL’S TURMERIC & CRANBERRY SEED ENERGIZING RADIANCE MASK – Great, gentle exfoliating and brightening mask formulated with cranberry extract rich in reservatrol and anti-inflammatory turmeric extract. I use this at least once a week. LANEIGE LIP SLEEPING MASK – Best $20 spent, rub on your lips before you go to bed and wake up with more hydrated, smoother lips. CAUDALIE VINOSOURCE MOISTURIZING MATTIFYING FLUID – It gets hot in Texas and when it gets hot, I get oily. So this has been a recent fave, especially for the days I’m not wearing makeup but am out and about. I use it after my moisturizer (or you can use before too), and it keeps my skin from getting oily throughout the day. LA MER CREME DE LA MER – I so know this is ridiculously expensive, but if you are able to afford it, it’s simply fantastic. I use this moisturizer at night and my skin just loves it. It feels and looks renewed, so hydrated. Thankfully, La Mer has several size options, and you can get the $75 size if you have been super curious to try it out, and with the discount, it may be the perfect opportunity to splurge. LA MER LIFTING & FIRMING MASK – And speaking of La Mer and splurges, I was super impressed with this mask after just one try… in fact, I ran out and got it (the mini, $75). It visibly lifts and my skin feels so good and looks brighter. PAT MCGRATH MTHRSHP EYESHADOW PALETTES – Obsessed with these. The packaging, the colors, the pigmentation… trust me when I say these palettes are more fabulous than you think. The normal sized palettes are $125, so at $55, these minis are worth it. You can usually only find one of these in store, so it’s wise to grab them online. There are three available: SUBLIME BRONZE AMBITION (bronze + gold colors) | SUBVERSIVE LA VIE EN ROSE (berry + purple colors) | PLATINUM BRONZE (soft taupes, bronzes, pinks). MARC JACOBS EYE-CONIC MULTI-FINISH SHADOW PALETTE – I just recently got this and I love it! Palette is comprised of multiple finishes: velvet, satin, silk, and lamé. I own the SCANDALUST option with pretty pink and bronze hues, but all of them are stunning. URBAN DECAY NAKED HEAT PALETTE – A palette I reach for a lot. I love these warm colors, love how they look and blend and the range of colors that allows me to create versatile looks. There’s also a new PETITE HEAT version that’s only $29. TATCHA SILK CANVAS PROTECTIVE PRIMER – This new release is getting a ton of positive reviews and rightly so, I’ve been trying it out this week and it’s so nice, not heavy at all. Described as a “velvety priming balm of pressed silk” it smooths complexion and makes makeup last longer. I’ve used it alone and under makeup and have been so happy with the results. MARC JACOBS UNDER(COVER) PERFECTING COCONUT PRIMER – My everyday hydrating primer; it’s hydrating, refreshing and helps smooth skin before foundation. MARC JACOBS SHAMELESS FOUNDATION – These days, I’m reaching for this foundation more than my others. It’s perfect for Spring and Summer with a lighter to medium coverage, and the first flashback-free SPF 25 formula. HOURGLASS AMBIENT LIGHTING PALETTE – This is a beautiful palette to own. The powders help give your skin a flawless finish when you sweep it all over your face. I used the lighter color under my eyes to brighten and the other two everywhere else. The look is not shimmery, it’s a gorgeous, imperfection-blurring finish. HOURGLASS AMBIENT BLUSH – Sweeps on SO beautifully; I own the Euphoric Fusion color and plan to pick up another color during this event! NARS BLUSH IN GOULUE – This limited edition blush is one of my faves. I think it’s particularly pretty as your skin darkens this time of year. BECCA SHIMMERING SKIN PERFECTOR PRESSED HIGHLIGHTER – This highlighter line gives you such a gorgeous glow. My favorite colors are the CHAMPAGNE POP, ROSE GOLD and OPAL FLASHES JADE. VERB SEA TEXTURE SPRAY – This is the texturizing spray I use on my beachy waves and I love it. Weightless and gives everything a light hold too. BRIOGEO DON’T DESPAIR, REPAIR DEEP CONDITIONING MASK – I got this mask in a sample and loved it! My hair looked and felt healthy and shiny. COMMODITY FRAGRANCES – One of my new obsessions. I love everything about these fragrances, from the packaging to the really unique scents. My current faves are VELVET and GOLD. GUCCI BLOOM EAU DE PARFUM – Ending the post with another fave, this perfume smells amazing, like a floral bouquet.